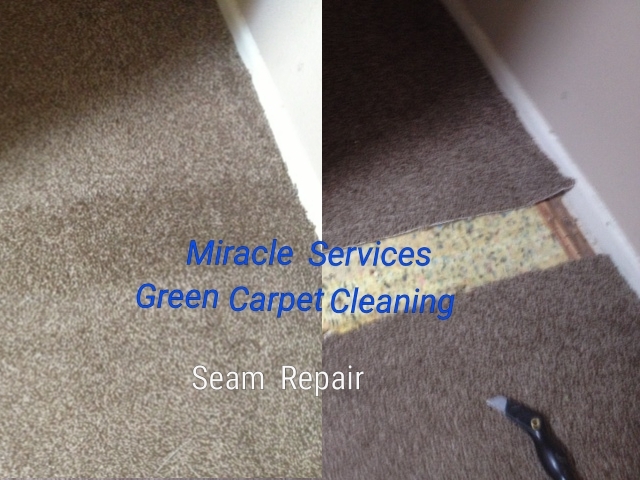 Before you consider replacing that damaged carpet consider El Cajon carpet repair and green carpet cleaning by Miracle Services. They specialize in full carpet care plus they clean green with baby safe organic products. 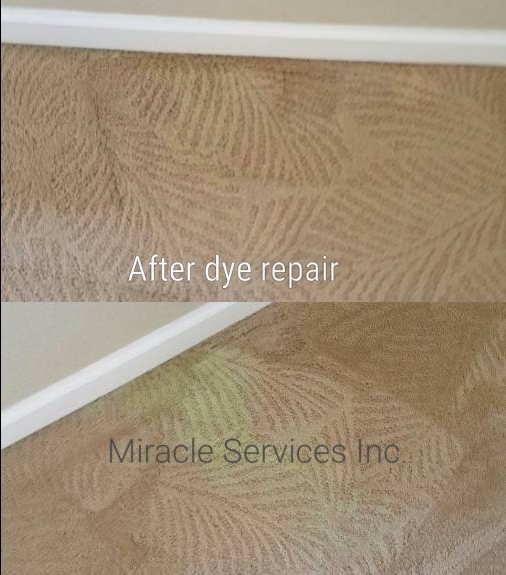 Wouldn’t it be nice to not only have a great no residue clean that is green, non-toxic but to also get those repair items solved at the same time? 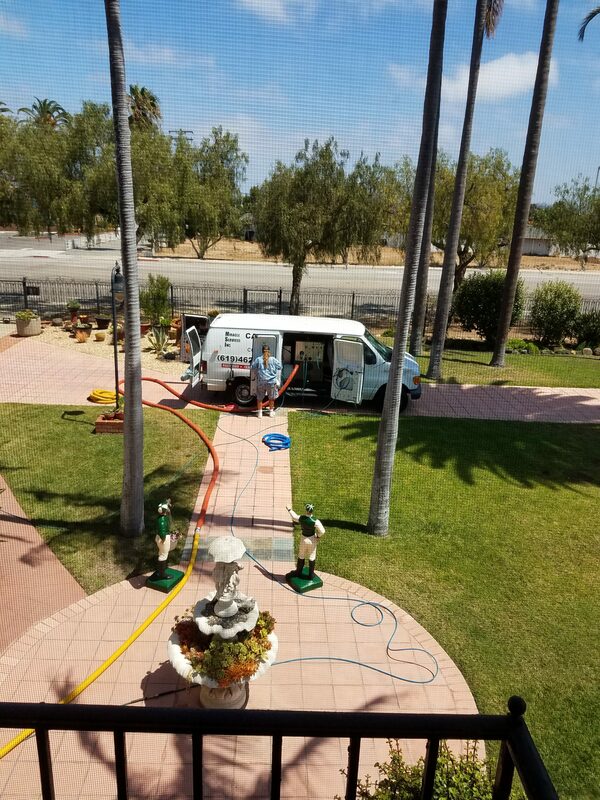 Miracle Services Green Carpet Cleaning is veteran owned & operated since 1994. They are also a local veteran operated service bent on detail, customer satisfaction and top quality. Today it is very hard to find a local service since many out of state entities have come in to offer services online. You call these entities and they look for a local contractor to sell the job too for 60%-50% of what the job sells for. Imagine that you are that contractor, you will make 40-50% and your name/reputation doesn’t have to be on it. Let’s be honest, human behavior says short cuts and 40-50% of quality. You the consumer is the one that gets hurt unfortunately. Whatever it is Gary the owner can handle it for you. 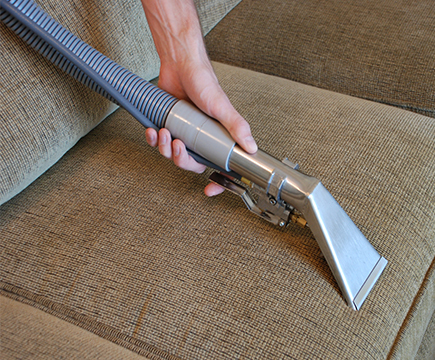 Carpet pet damage, bleach stains and loose carpet is the typical daily fixes on a carpet cleaning job in San Diego. All you have to do is discuss your needs with Gary who schedules your job and text a few pics of your damage and get an accurate phone quote. We clean with human safe products to protect ourselves from the typical carpet cleaning chemicals that have no mercy on our health. As daily end users of our green cleaning products we protect ourselves. The consumer can be absolutely sure that they are protected also. Best of all, the Miracle Natural product we use clean extremely well with true non-residue effects. You’ve probably heard the paid radio advertisements of that carpet cleaning franchise that claims to clean with special water that leaves no residue. The ones that convert water into a chemical. Not us, we flush and rinse your carpet out with pure soft water only. We believe in truth of advertising. Give us a call for all your El Cajon carpet repair and green carpet cleaning needs.